So, the big day has dawned for your bride, and now it’s time to do your job and flex your Create Beautiful Hair muscles to make sure that she looks as stunning as the bride of her dreams. Lots of brides will feel anxious as they prepare for their day, so it’s important for you to reassure her that everything is under control and she’s going to emerge looking gorgeous. Her appearance is in your capable hands. Obviously, you want to maximise your time with the bride and avoid any unnecessary mistakes or delays. With this in mind, we have collated the ten biggest mistakes that you should avoid as a bridal hair/make up stylist so your day runs smoothly as possible! 1. Not allowing enough time/not keeping to the schedule. This is a rookie error that can really affect the quality of your work. The trial run should have given you a good idea of the basic timings, and then you can augment this rough idea depending on what the bride wants. It’s good practice to build extra time into your schedule so you can check and double check your work. Creating beautiful hair-up styles takes time. Hurrying to perfect beautiful hairstyles means you’re more at risk of making mistakes. Don’t take the chance! When the wedding season is in full flow, it’s tempting to try and squeeze in as many jobs as you can to maximise your earnings. But if you’re attempting to do two weddings and a trial run in one day, you’re going to be short of time, unnecessarily stressed and secretly panicking that you aren’t going to have the time to showcase the amazing skills you have learnt over the years and on our hair-styling courses. Plan your diary carefully and as well in advance as you can. The point of a trial run is to test out the look that the bride wants; you could well be expected to recreate the look exactly on her wedding day. So, it’s important to make as many detailed notes as you can to guide you through the hair and make-up process on the day with confidence. Don’t cut corners, even the little things should be noted down. Get one or our wedding planner books from the shop – with 50 planner sheets – enough to take details notes for a years’ worth of weddings! We all need a little R&R from time to time and having a great holiday is a perfect time to de-stress. However, after this great holiday, you’ll need some time to come back down to earth and get into your professional mindset. With this in mind, we recommend you allow at least a 48 hour ‘buffer zone’ before you put on your game face and prepare to create a stunning bridal look. 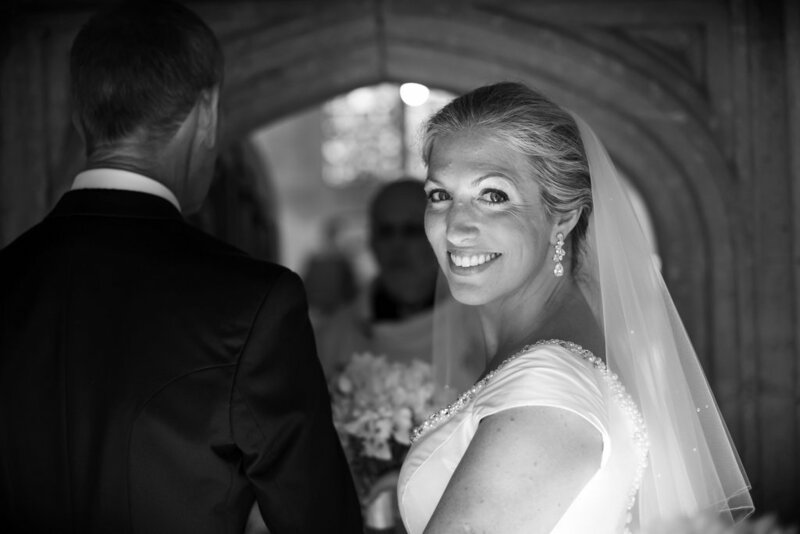 Being a hair and make-up stylist often means having an ongoing professional relationship with your bride. Money talk can be difficult, especially if the bride isn’t sure what she wants. However, I always tell my students that it’s important to always take a deposit; so that you can have more security about the job going ahead. Flaky brides mean flaky schedules and as much as we all love creating beautiful hairstyles and makeup for our bride’s, these are our businesses not our hobbies; join us today and get free business advice! Sounds obvious, right? But it’s easy to overlook the small essentials as you make sure you pack your best brushes, curling tongs and all the make-up that you need. Arriving without a mirror means that the bride can’t see the process as it unfolds and increases the chances of you making an error that she doesn’t see until the end, which then gives you limited time to change it. Always check that your professional tools include a mirror. It’s the small things that are often missed. Going without an extension lead means that your bride is at the mercy of power sockets. Wherever they are – she will need to be. Even if this is in the hallway on cream carpets, just waiting for a blob of foundation to take a wrong turning. Make sure you remember at least one extension lead so you can sit your bride somewhere appropriate where she can have a mirror and where you won’t be panicking about the cream carpets. 8. Going on a big night out the night before. This is a no-no for so many reasons! Big nights out often include copious amounts of alcohol and a late night kebab. Being hungover, smelling of nightclubs and beer with shaky hands as you grip your make-up brushes is not the impression that you want to give your bride. 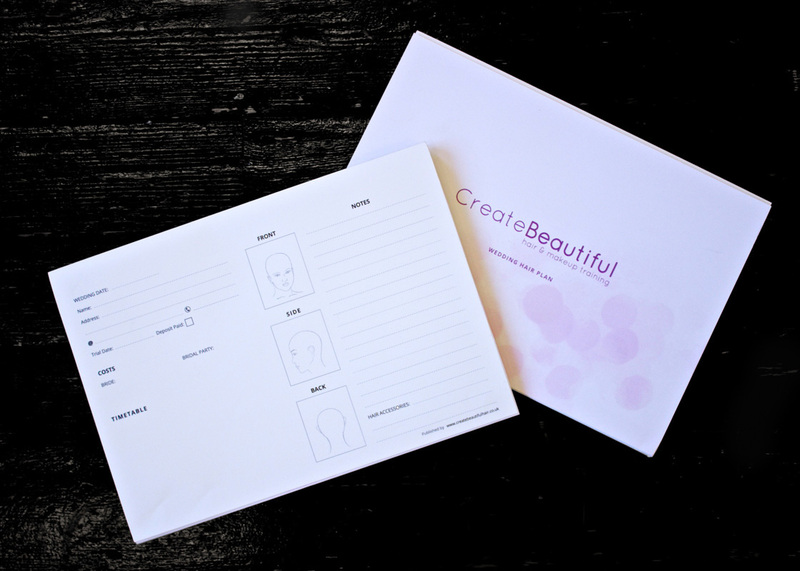 Nor do you want to be behind on schedule or battling overwhelming nausea as you Create Beautiful Hair. This is definitely not a mistake to be making, especially because your reputation could be affected as a result if you end up with an angry bride. 9. Not having enough photos from previous work. Each wedding is going to be slightly different, and not having enough photos from the past means that you can’t showcase your skills and end results as effectively as you can if you’re careful to build a varied portfolio that shows a potential new client your make-up/hair stylist skills. Just having a few extra photos from each project can give brides the confidence to choose you. Follow us on instagram, to get inspiration for what pictures to post to impress potential brides. 10. Spending too much time on difficult bridesmaids. Now, strictly speaking, this isn’t your fault. 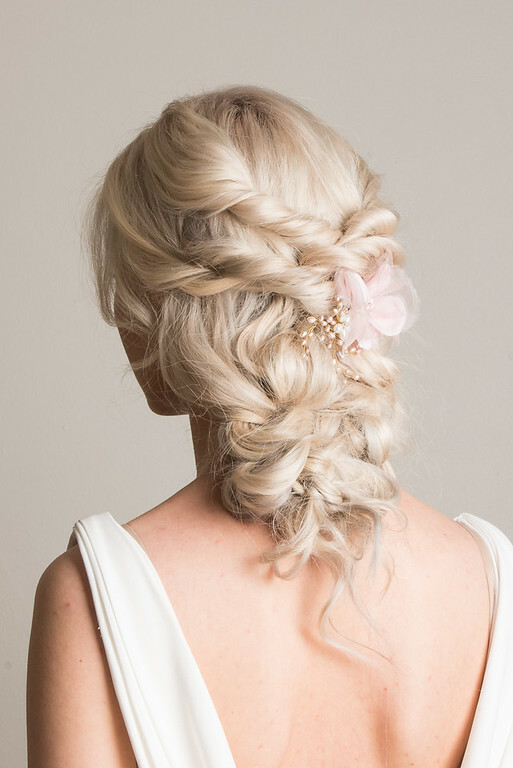 Usually your client is the bride, and your remit is to style as many members of the wedding party as she wants. 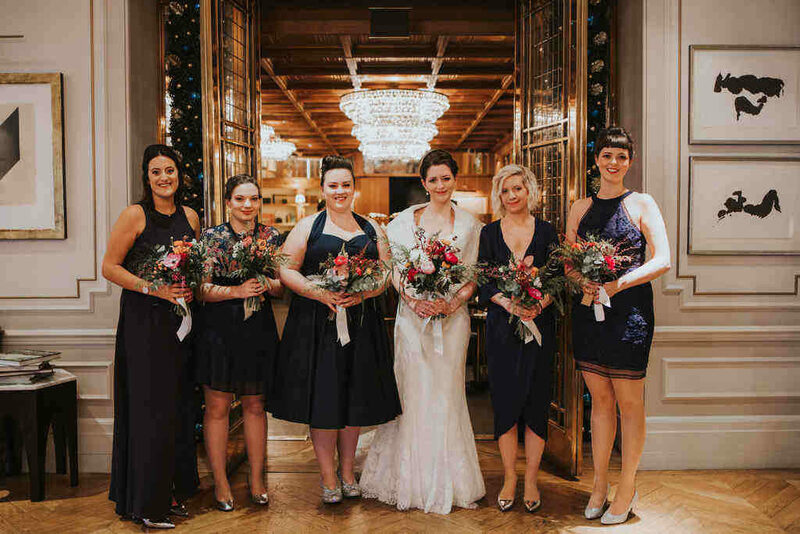 You want to do your best work in every case without offending anyone, but if you come across a demanding bridesmaid who threatens your time with the bride, it’s important to recognise this and deal with it swiftly, carefully and pleasantly. 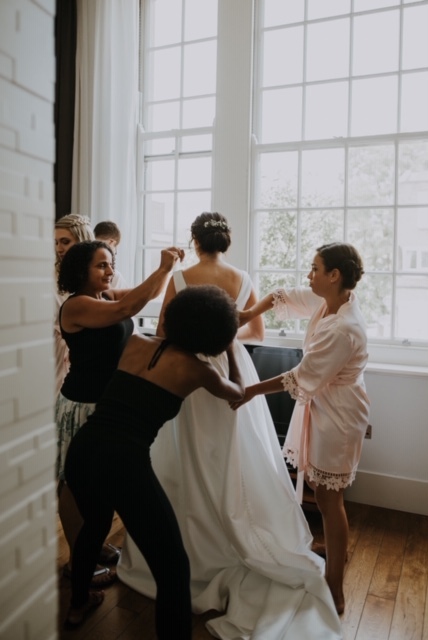 If there’s a particularly difficult bridesmaid, keep an eye on your timings and just let her know when it is time for you to start with the bride, re-assure her that you’ll come back to her once the bride is ready – and get her out of the hair/makeup chair. Only once the bride is all ready will you be able to get back to her. A comprehensive list of the top ten wedding day mistakes to avoid. If you follow this advice, you’re all set to Create Beautiful Hair and make-up, which means a beautiful, blushing bride as the end result – and another tick on your satisfied customer list.